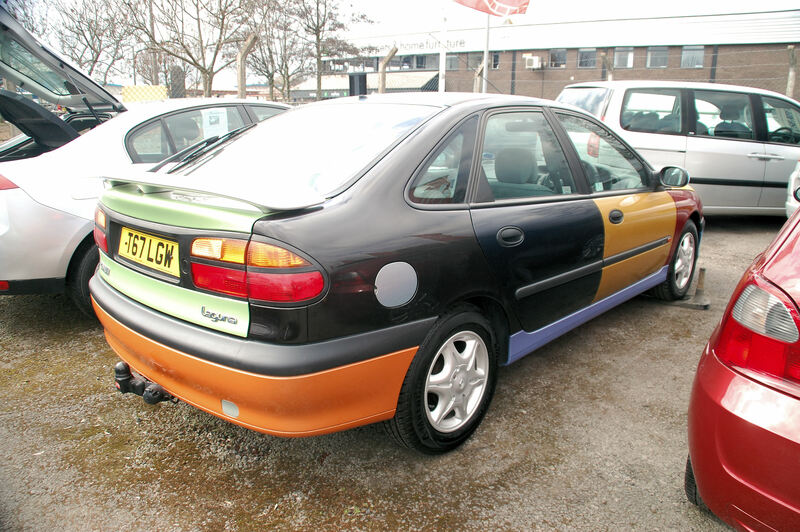 Such a dazzling coat of many colours… Who ordered the patchwork Renault Laguna? Yes, it’s the first of April but this multi-coloured Renault Laguna is no seasonal act of Tom Foolery. You see, this rather fine example of an RXE specification Laguna is no ordinary 90s repomobile, for it wears a coat that wouldn’t look out of place in either a Lloyd Webber musical or in John McCririck’s flamboyant wardrobe. Every single panel of this 40,000 mile Laguna is painted a different shade of Renault’s then colour palette, ensuring that it’s highly unlikely you’ll lose it in a busy car park. Unlike Volkswagen’s contemporary Polo Harlequin, this Laguna actually started off as a mild-mannered Monaco Blue example providing comfortable service to its first owner. When it was traded back in, the supplying dealer decided it deserved a fresh lease of life and the makeover commenced. Laurence Llewelyn-Bowen would be so proud, dahrling. It then enjoyed a decade of polishing and pampering as it toured around at car events showing the breadth of Renault’s range of hues until a few months ago it was unleashed into the motor trade and was spotted by Lincoln motor trader John Goulding. Monaco Blue was soooo 1999 shweedie. With a sticker price of £1999, John’s hoping the Laguna is snapped up by a Renault fanatic or someone who’s after something more than just a bit unusual. 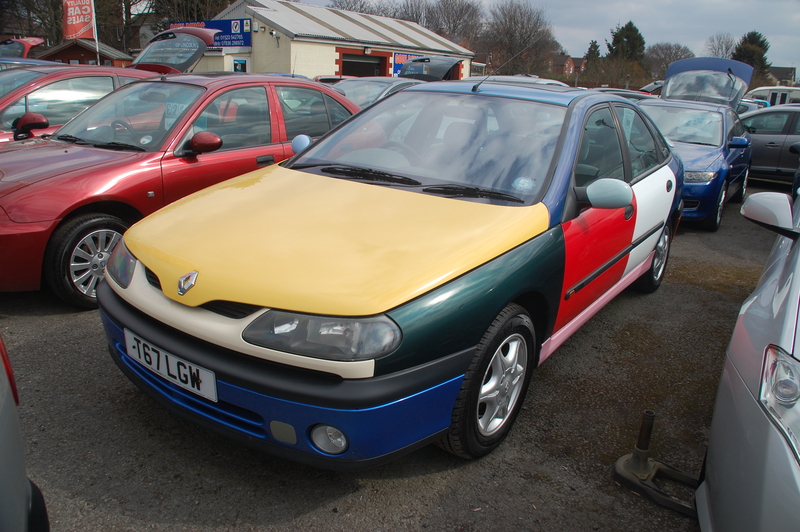 If you’re interested in the multi-coloured Renault Laguna visit Gouldings Cars Sales’ website.